On October 8th, our parish will celebrate the Feast of Francis of Assisi with a blessing of animals after the 11:00 am mass. On that day, we will give thanks to God for our animal companions. We will also remember our beloved pets who are no longer with us. Many people wonder about what happens to our pets that have died. Is there such a thing as heaven for our pets? Do pets go to heaven? The traditional theological view is that animals lack immortal souls, and thus they do not go to heaven. According to this view, animals (as opposed to human beings) are not created in the image and likeness of God. As a result, they have only mortal souls and do not have eternal life. More recently, however, some theologians have suggested that animals might in fact share in God’s eternal life. They have pointed to biblical passages that describe the redemption of all creation – human and non-human – at the end of time. See, for example, Isaiah 11:6-9 (the wolf will live with the lamb) and Ephesians 1:8-10 (all things in heaven and on earth will be gathered up in Christ). 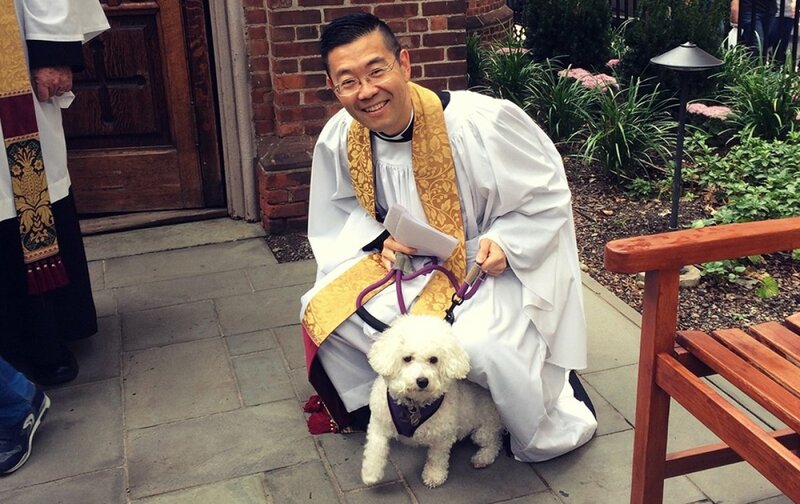 Similarly, in 2012, the governing body of the Episcopal Church authorized liturgical materials to be used at a service for the loss of a beloved animal. During the service, the officiant asks God to “give us faith to commit this beloved creature of your own making to your care, for you live and reign for ever and ever.” See General Convention Resolution 2012-A054. The words of this liturgy give me the hope that, one day, we will be reunited with our animal companions under the eternal care of God. Although we cannot have absolute certainty about this, we can hope that God’s love for all creation is so strong that it will overcome the pain of separation and death. In my own view, heaven would not be, as the catechism in the Book of Common Prayer puts it, “eternal life in our enjoyment of God” without the presence of our beloved animal companions. See BCP 862. And so, I fervently hope that pets do in fact go to heaven.